Würth Elektronik eiSos is one of the largest manufacturer of passive components and electromechanics in Europe. Its products include EMC components, inductivities, transformers, HF components, varistors, connectors, power elements, switches and fastener technology. Our double-digit growth makes us one of the most successful subsidiaries in the Würth Group, with sales of € 848 million in 2018. Our approximately 8,300 employees offer our customers the kind of service that clearly puts us a notch above our competitors. Our production locations are in Europe, Asia and the U.S. We have sales teams in almost all of the European countries, the U.S.A., Asia and South America. In Germany we have over 154 sales representatives who act as direct contacts for our customers and take care of consulting and support on technical issues. About 500 employees support the sales force from our headquarters in Waldenburg (Hohenlohe region in the state of Baden-Württemberg). 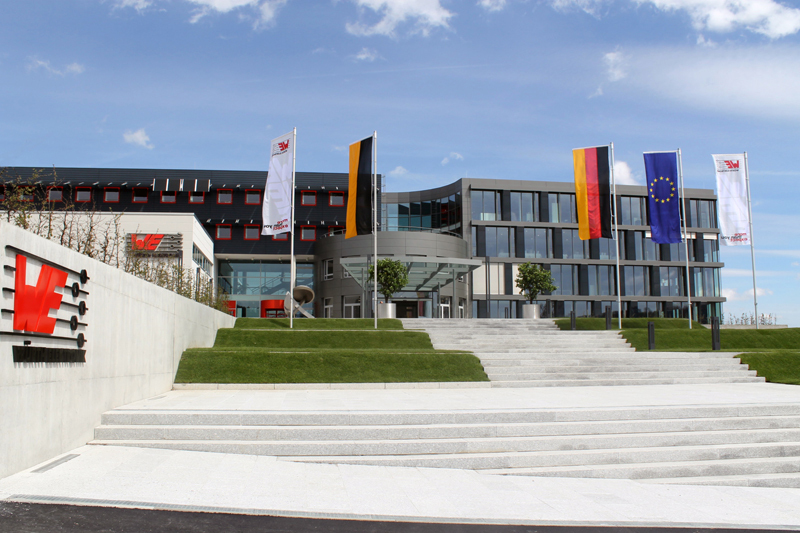 We have convenient direct access to the A6 autobahn and the Waldenburg train station is nearby, making it possible for the employees from all over the region to reach the company easily and quickly.